Your tomatoes are planted and now you just need some warm days to get the ball rolling and the tomatoes growing, right? Sure, that certainly helps but another thing you need to consider before the hot temperatures set in is to make sure you’re protected against Blossom End Rot. 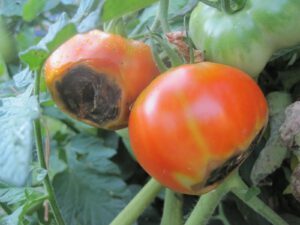 If you’re one of many who have tended to your tomato plants all summer, your mouth watering at the thought of a sun warmed fruit plucked fresh from the plant, only to find that when you’re ready for that first bite that the fruit has turned an ugly, black mess at the bottom where the blossom used to be? That would probably be the result of Blossom End Rot. Blossom End Rot is a physiological problem, most commonly seen in tomatoes but can also affect peppers and eggplants. It is mainly attributed to two things that really go hand in hand with each other. First is lack of calcium in the soil and second, inconsistent moisture. You need to address these early on in the growing season as usually when you notice it it’s too late to fix it. Tomatoes need calcium, among other things, to produce a good crop. When tomatoes don’t get enough calcium the cells break down. 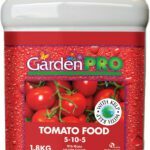 You can find calcium in any good tomato fertilizer such as granular GardenPro Tomato Food with Kelp or you can add lime to the soil when you are planting. Kelp helps hold water and nutrients in the soil as well as a host of other benefits. The other factor in this disorder is the lack of water or rather, inconsistent watering. Tomato plants need to be evenly moist ALL THE TIME. Not sopping wet but not watered every other day, not left to dry out while you take off for the weekend, not forgotten about, even once. Without getting scientific, because I don’t want your eyes to glaze over, bottom line is that when the soil dries out so do the fine white roots that take up water and nutrients. The plant needs a great supply of water and calcium to reach the fruit which is usually way up near the top of the plant. If the lower leaves take up whatever does make it up through the roots and there is nothing left for the fruit then you can end up with problems. It is extremely important to grow your tomato plants in pots big enough so that they don’t dry out quickly. Watering a couple of times a day in hot weather is better than overwatering in the morning and having it dry out by the end of the afternoon. Mulching will help conserve moisture through the day. Over fertilizing or applying fertilizer to dry soil can also contribute to Blossom End Rot as it basically clogs up the roots with nutrients and doesn’t allow as much water to be taken up. Avoid fertilizers that are high in salt as this also isn’t good for the plants. Tomatoes planted too early in cold soil can also be susceptible so don’t think you’re getting a head start by planting in April or the beginning of May unless you have a greenhouse. Again, this is a really basic explanation but it gets the point across. Water well and often enough that the soil doesn’t dry out, making sure you’re watering the soil and not the leaves otherwise you’ll encourage other problems. 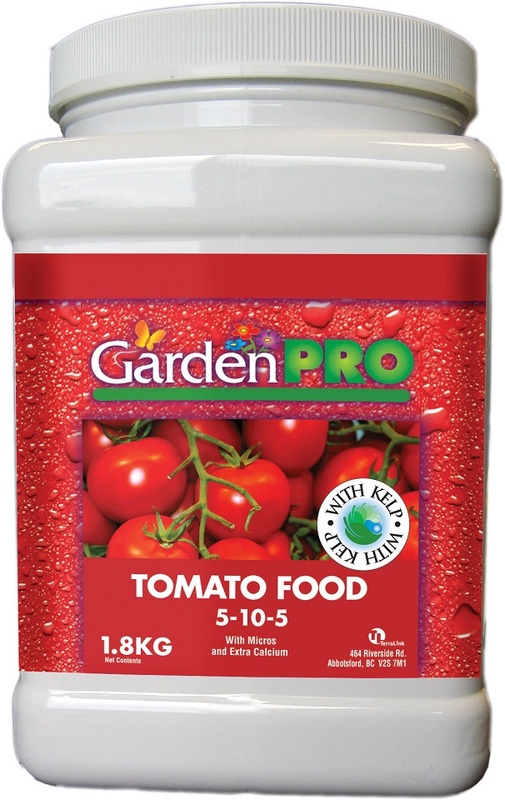 Fertilize with GardenPro Tomato Food containing calcium and kelp. Avoid overcrowding as disease loves a crowded room. Lastly, hope for sun!